Don’t take migration issues lightly, do proper research, never assume, avoid hate speech, stick to the facts, use visuals ethically and tell a good story. 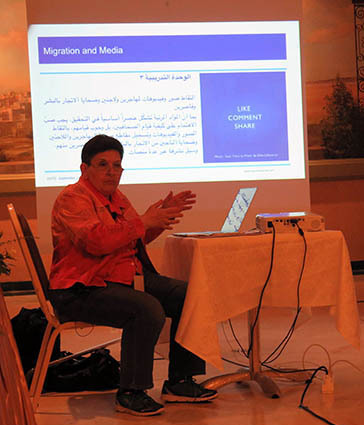 That’s some of the advice Media Unlimited director Magda Abu-Fadil gave journalists at a three-day workshop in Tunis in September 2018 organized by the Open Media Hub, a European Union-funded initiative administered by the Thomson Foundation. 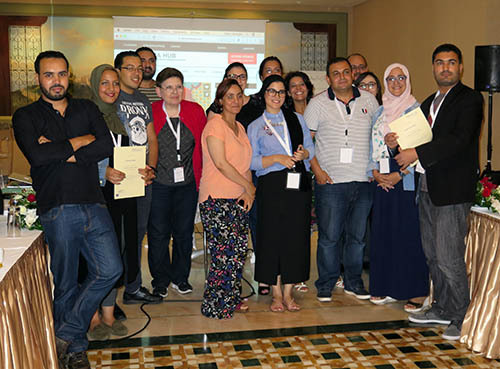 The production-led training grouped print, radio, TV, online and multimedia journalists from Tunisia, Morocco, Algeria, Egypt and Syria and provided them with tools aimed at improving their reporting on migration. Cameraman/editor David Hands, senior media training and exchange expert at the Media Hub Project Petko Georgiev and Abu-Fadil were the instructors. 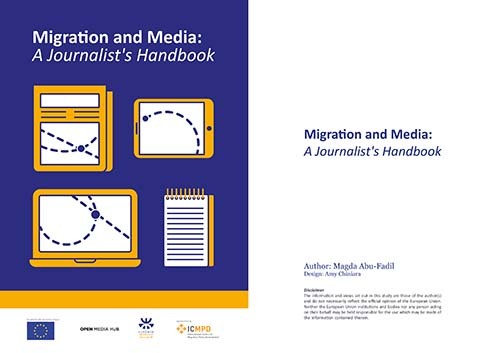 They aimed to reinforce the journalists’ knowledge and abilities to help them achieve balance in their stories and provide unbiased public perception of migration. Participants were asked earlier to submit a pitch for the story they intended to finalize during the workshop sessions. The stories will be broadcast/published in their respective news outlets and made available on the Open Media Hub’s platform and website, for exchange between participants locally and internationally. 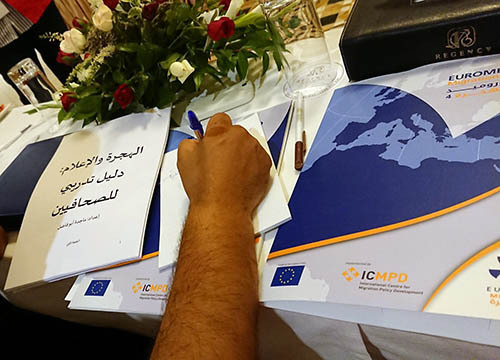 The workshop was built on a text Abu-Fadil wrote, “Migration and Media: A Journalist’s Handbook” – a cooperative project of the Open Media Hub, the International Centre for Migration Policy Development (ICMPD), and Euromed Migration with funding from the EU – that will be available online in English, Arabic and French. 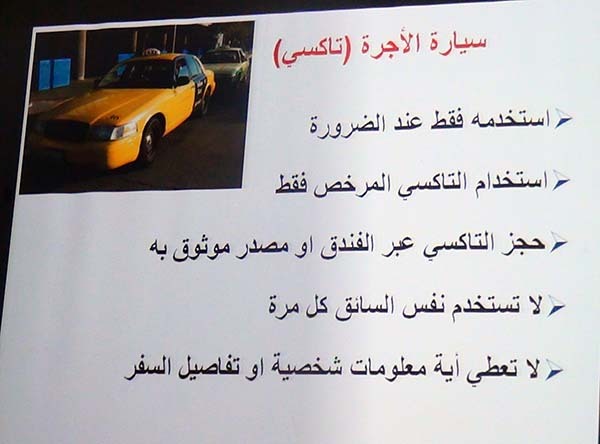 The handbook was also turned into an OMH online course in the three languages. The objective was to ensure journalists have a basic firm understanding of the complex issues of migration, refugees, and human trafficking and their impact on the politics, economics, demographics, environment, security, education and cultures of affected countries and beyond. The trainers spent half the workshop mentoring their charges by helping them fine-tune proposals to produce viable reports and provided useful technical tips on video and audio production. Another hitch is the lack of adequate resources and support from news organizations, so the Open Media Hub has stepped in to help defray the cost of travel and local coverage to journalists pitching credible stories that may then qualify for the EU-funded Migration Media Award (MMA). Several of the workshop participants were winners of the 2018 MMA in its second edition and hope to secure financial backing for follow-up stories. 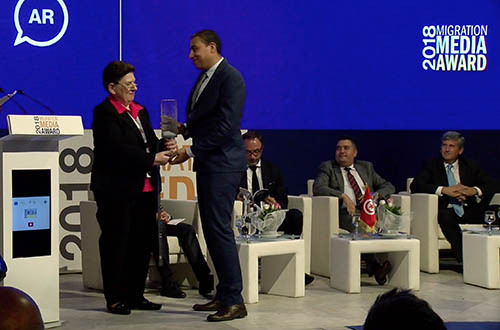 As a member of the jury for Arabic-language media, Abu-Fadil presented the first prize in print to Egyptian journalist Ibrahim Mustafa whose story “Europe is Not Paradise” was published in the daily Al Akhbar. 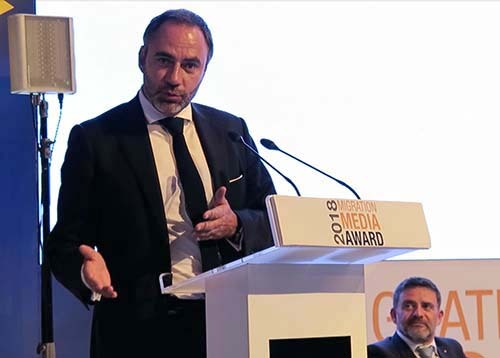 The MMA for print, radio, TV and multimedia stories in Arabic, English and French was launched in 2017 to recognize excellence, relevance and newsworthiness of journalistic pieces dealing with migration in all its aspects in the Euro-Mediterranean region. This year’s awards focused on diaspora, labor migration, vulnerable groups, and legal and irregular migration. 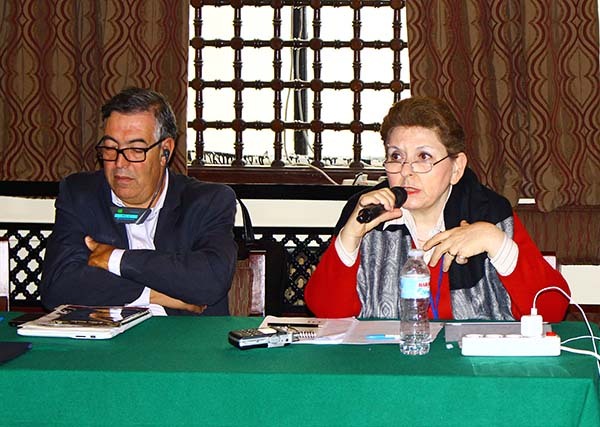 Lebanese media mirror the country’s political, economic, and social ambiance, to the detriment of accuracy, fairness and balance in many instances, Magda Abu-Fadil told a Cairo seminar in November 2015. The Media Unlimited director listed a number of adjectives, descriptions, stereotypes and ethnic or sectarian slurs that often creep into the public sphere and translate into hate speech, augmented by biased media coverage, she said. It’s also common for politicians from opposing factions to engage in mudslinging through the media, although laws and regulations, not to mention basic media ethics, should act as a deterrent, she added. 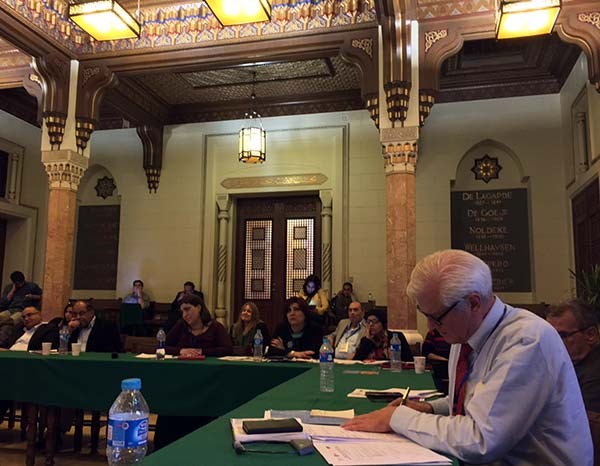 The two-day seminar, held at the American University in Cairo, was a collaborative effort by the Ethical Journalism Network, the Norwegian Institute of Journalism, the Egyptian Editors Association and the Egypt Media Development Program. The seminar dealt with the definition of hate speech, how to counter hate speech, case studies from the participants’ respective countries, group discussions with prominent media personalities, and efforts to establish a regional center for hate speech monitoring. 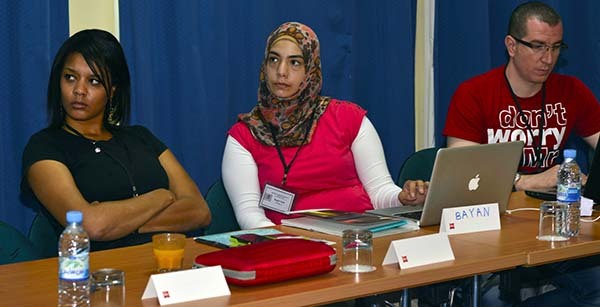 It grouped participants from Egypt, Lebanon, Jordan, Palestine, Iraq, Morocco, Tunisia, Britain, and the United States and is a follow-up to an earlier event in Beirut in 2014. 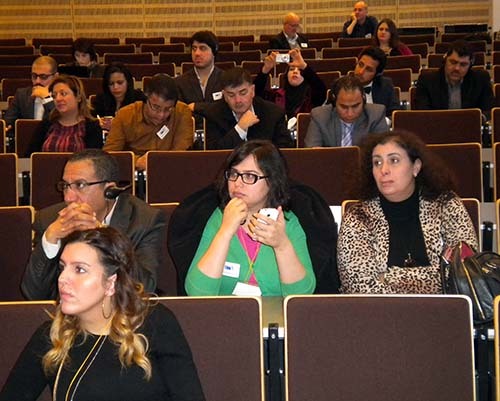 Media Unlimited director Magda Abu-Fadil told an audience in Brussels that training journalists should be given adequate time to improve their skills, in all fairness to them and their instructors. 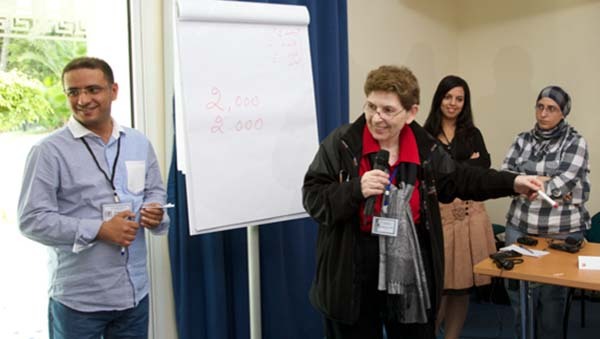 She was referring to a series of brief workshops for traditional journalists and bloggers from Morocco, Tunisia, Libya, Jordan, Palestine, Egypt, Lebanon, Syria and Georgia in which she co-trained with BBC veterans Russell Peasgood and Jim Fish. 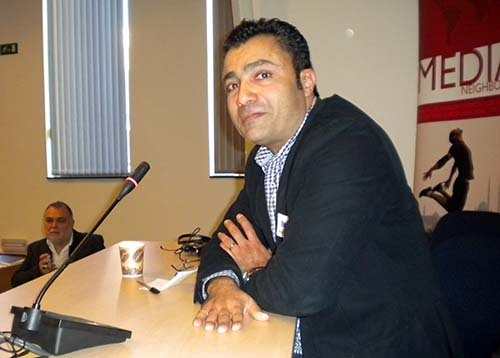 Abu-Fadil spoke at the Media Neighborhood Journalism Awards in the Belgian capital in February 2015 – a culmination of a project funded by the European Union and delivered by a consortium led by BBC Media Action. 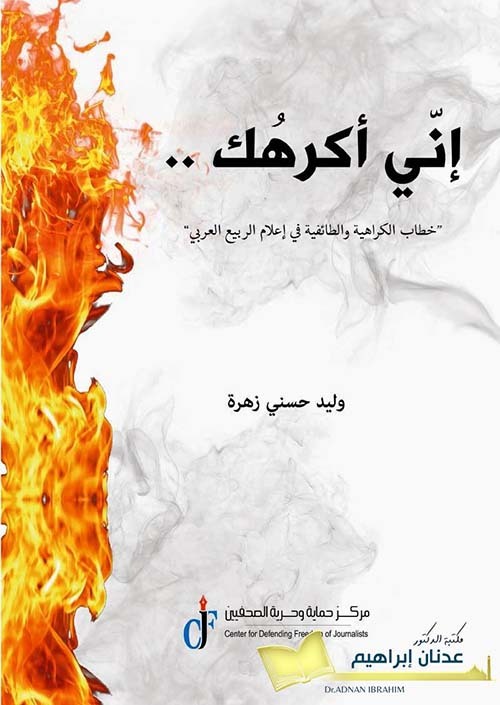 Abu-Fadil was involved in the latter part of a process that provided initial training and subsequent writing and producing assignments for various media. 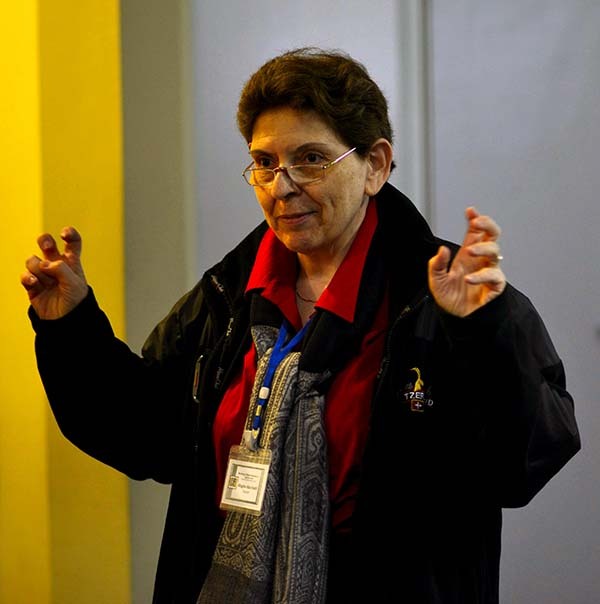 Being fully functional in English, Arabic and French enabled her to assess the final products in those languages, with the majority being in Arabic. But in the case of Georgia, it was a bit challenging since print, online and broadcast reports were in Georgian or Russian, forcing her to rely on English translations. 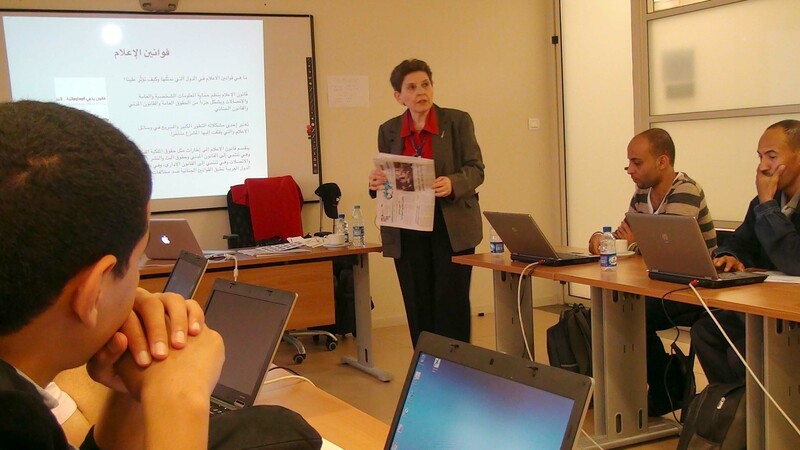 On the plus side, Abu-Fadil and her colleagues emphasized and instilled in the trainees a sense of what solid journalism is, and should be. They hammered away at the importance of proper and diverse sourcing, balance in presenting various sides in a story, ethical considerations, newsworthiness and accuracy. They also stressed the importance of the correct use of language, grammar, attention to translated material, ensuring numerical data are presented in the proper context, writing strong leads and avoiding opinions in hard news reports. 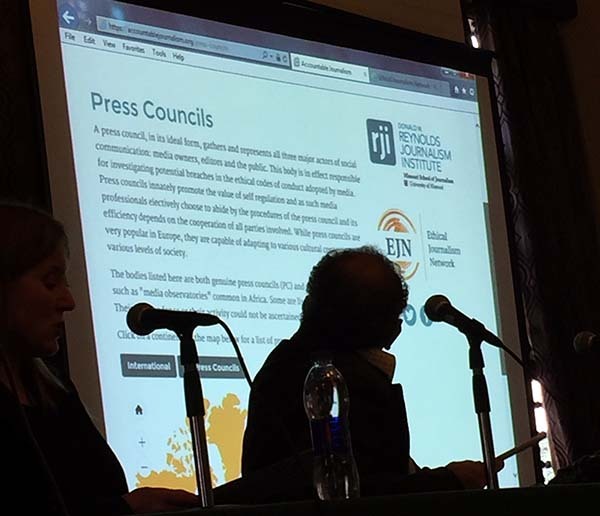 Abu-Fadil reviewed obstacles journalists and bloggers faced in the countries they represented and how constraints were reflected in their work. 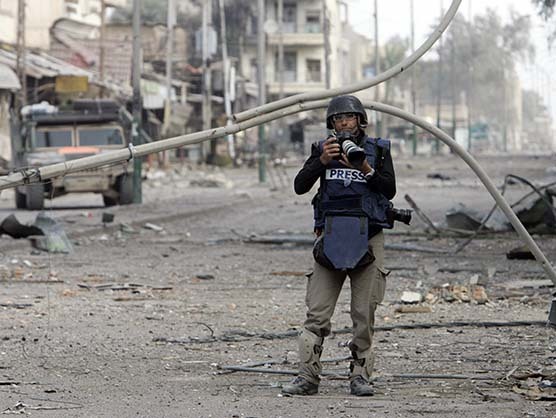 The Syrians encountered problems in verifying information and assorted dangers while reporting from the field in their war-torn country. 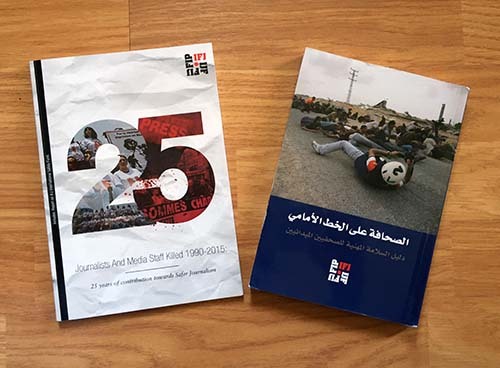 Lebanese media saw a decline in their ability to function freely while Palestinian journalists also faced safety and access to information problems. 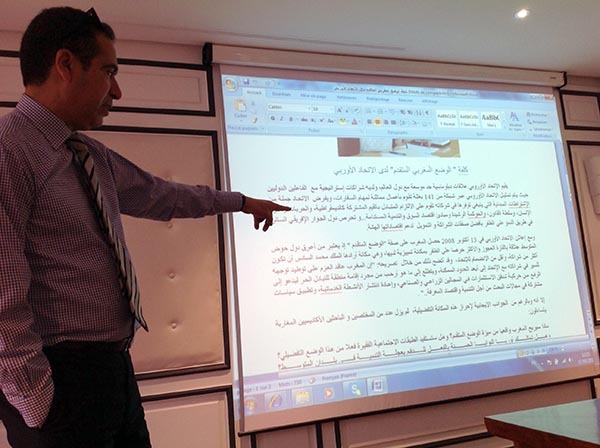 Jordanian journalists also had to deal with increasingly stricter rules and laws, notably those related to online media. 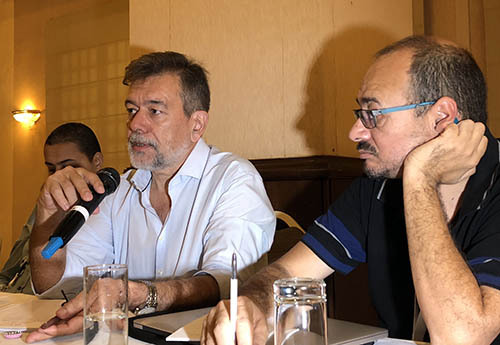 Egyptian journalists had to contend with the country’s roller coaster ride from a 30-year dictatorship to interim leaderships and elected presidents, which resulted in an interesting mix of reports mirroring the state of affairs. 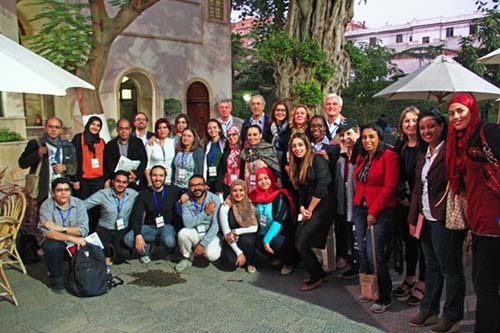 Ditto for Tunisian participants who hailed from the trigger of the so-called “Arab Spring.” They had also been conditioned to think and operate a certain way and were adjusting to their own transitional phase of government, which came out in their reports. 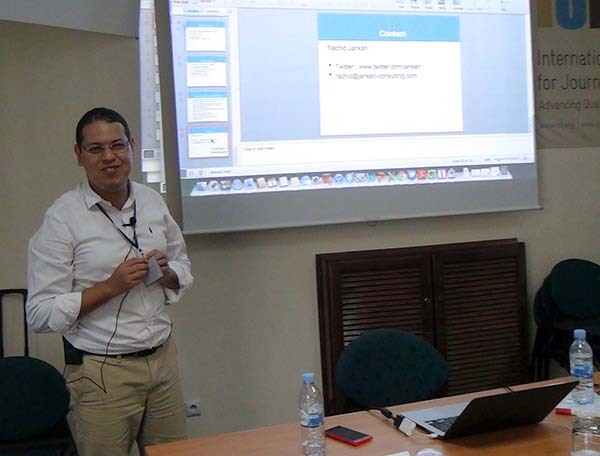 The Moroccan journalists had their own set of political issues but were also cautioned to avoid bias, to focus on the real story, and to sidestep long-winded rhetoric. The least fortunate were the Libyans whose freedom had been locked up for four decades as was their lack of understanding of what journalism is. 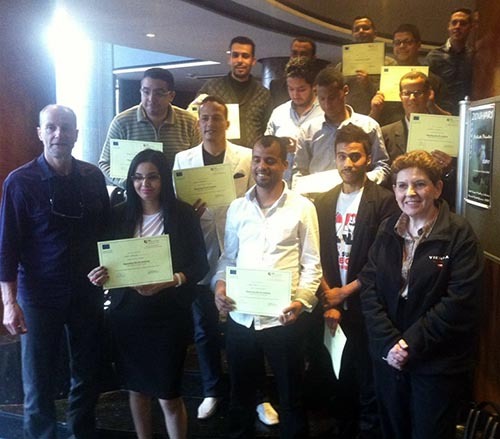 The awards program was held at the European Commission and grouped trainers, trainee award winners, mentors, and consortium representatives. 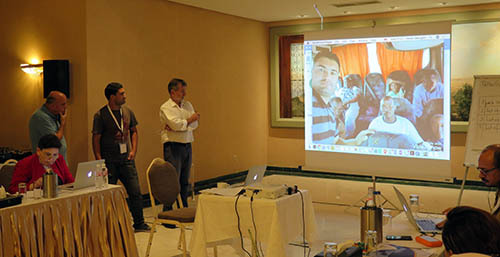 The full training project targeted journalists from Algeria, Armenia, Azerbaijan, Belarus, Egypt, Georgia, Jordan, Lebanon, Libya, Morocco, Moldova, Palestine, Syria, Tunisia and Ukraine. Media Unlimited director Magda Abu-Fadil was tapped to join the TAKREEM Selection Board 2014 that chooses candidates for one of the Arab world’s most prestigious prizes. 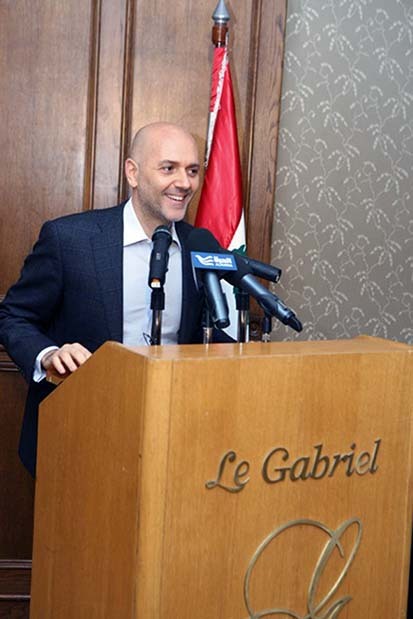 Lebanese TV star and talk show host Ricardo Karam founded the TAKREEM Initiative and serves as its CEO. 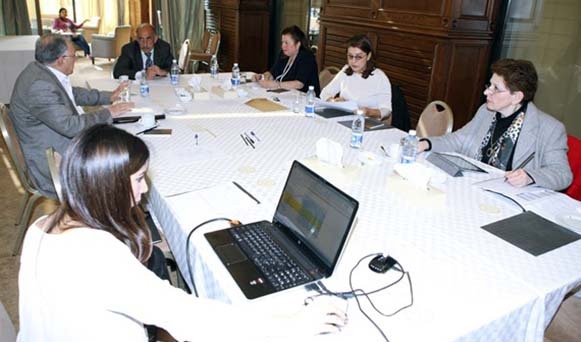 The Selection Board met in Beirut in April 2014 ahead of a final gathering of TAKREEM’s Jury Board that includes internationally renowned figures from, and interested in, the Arab World. All nominations are non-discriminatory and are accepted independent of age, gender, national origin, religion or political affiliation. Candidates should be of Arab ancestry for all categories except for one, the award of exceptional international contribution to Arab Society. The Selection Board groups individuals from various professions, renowned for their distinctions and achievements, and their responsibility is to draw up a carefully considered short-list of candidates in each award category. Exceptional International Contribution to Arab Society. 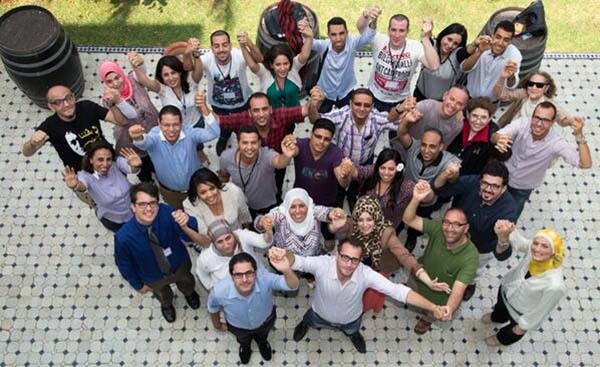 The 2014 TAKREEM laureates will be announced at a ceremony in November in the Moroccan city of Marrakesh. 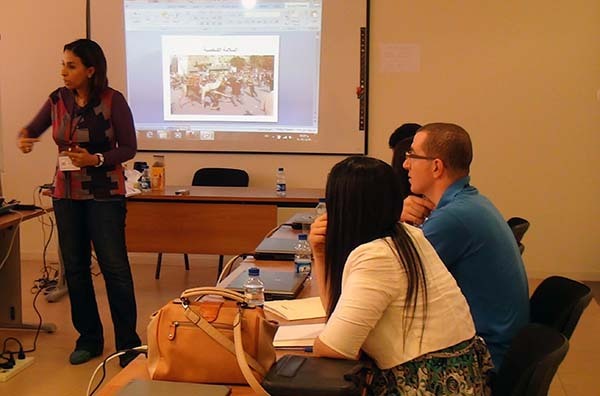 Twelve eager journalists from across Morocco returned to a Rabat workshop to present work they had produced following earlier intensive training led by BBC Media Action. 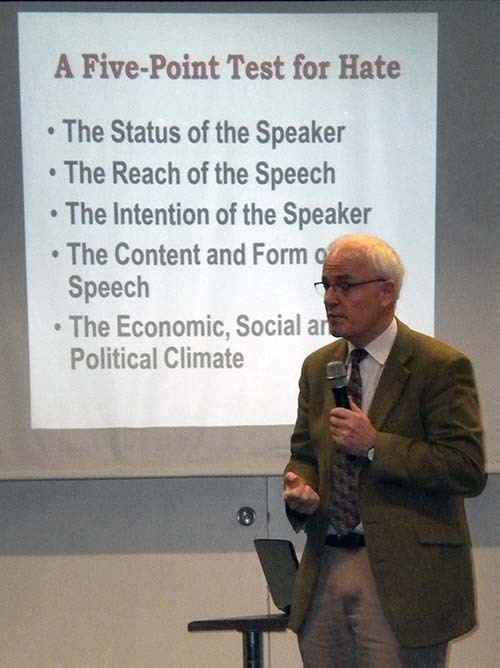 The March 2014 training, conducted by BBC veteran Jim Fish and Media Unlimited director Magda Abu-Fadil centered on a review of print and online articles, as well as radio and television reports covering crimes, the controversial Sahara issue, protesting judges, and projects funded by the European Union (EU), to name a few. The trainers went over several samples of work, critiquing content, sourcing, accuracy, style, presentation, and ethics. They also cautioned participants to avoid bias, focus on the real story, sidestep long-winded rhetoric and remember the context. 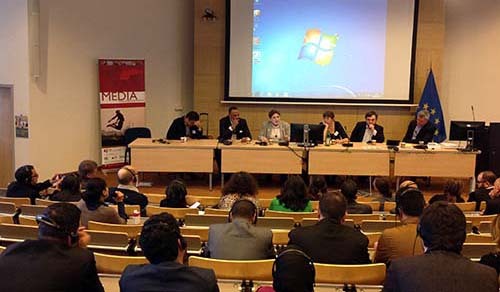 The journalists hailed from Rabat, Sale, Casablanca, Meknes, Tetouan, Laayoune, and Sidi Ifni. 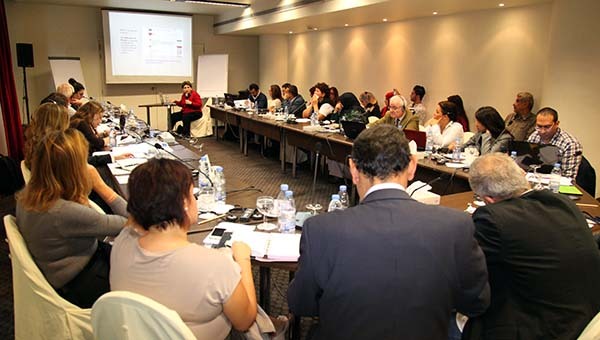 Arab journalists should differentiate between news and views and should not ignore context in their online and traditional outlet stories, said Media Unlimited director Magda Abu-Fadil. 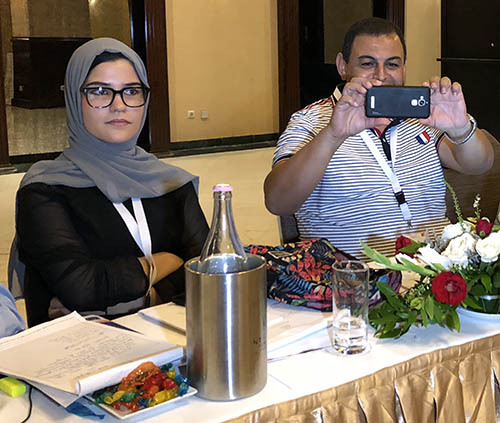 She told Morocco’s Al Roaya News young reporters are impatient and often ignore journalism basics like proper sourcing, research and media ethics. She urged journalists to enroll in training workshops on a regular basis to upgrade and update their knowledge and skills and to fall back on critical thinking in their endeavors. A [PDF] of the interview is available here. 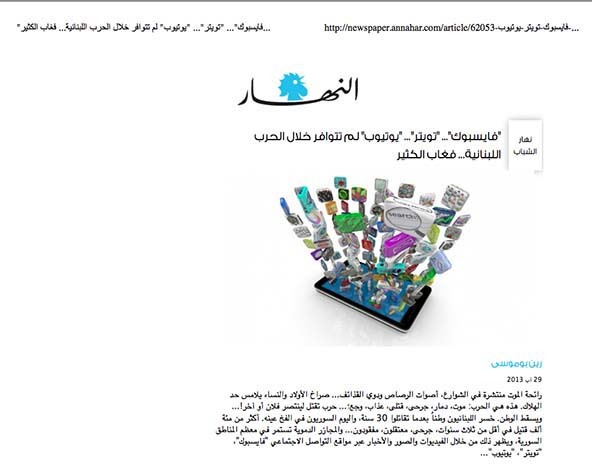 In another interview, with Lebanon’s daily Annahar, Abu-Fadil described how media disseminated news of the country’s 1975-90 civil war as opposed to the ubiquitous use of social media today that parallel and compete with legacy media in covering local and regional conflicts. She said journalists should not be misled by incorrect or doctored information from Facebook, Twitter and YouTube, and should be diligent in checking all sources. 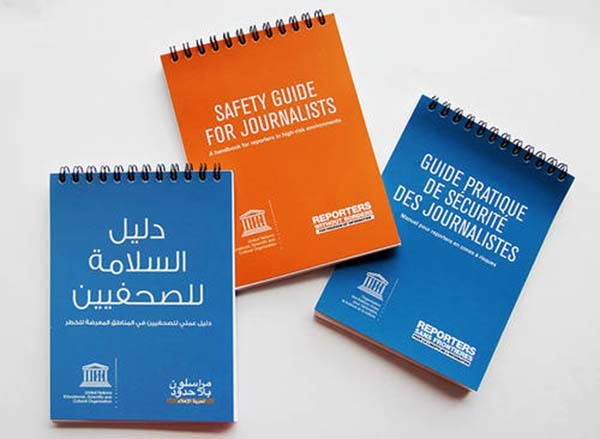 Digital skills for journalists and activists are required for success in today’s world, but a key component is knowledge of media laws and ethics to protect oneself and avoid problems. 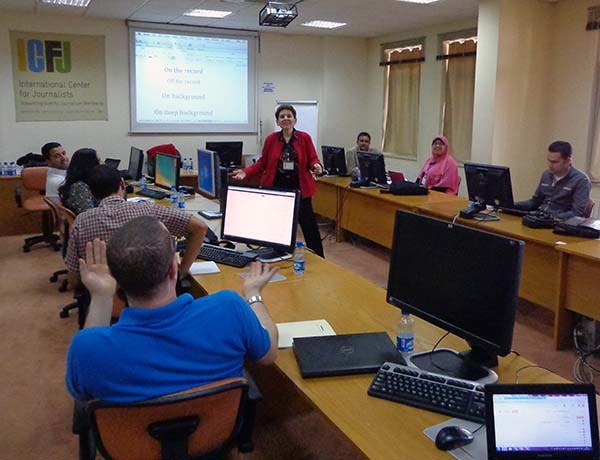 Media Unlimited director Magda Abu-Fadil provided tips and reviewed legislation from countries represented by journalists and activists who attended the “Building a Digital Gateway to Better Lives” boot camp in Amman, Jordan. 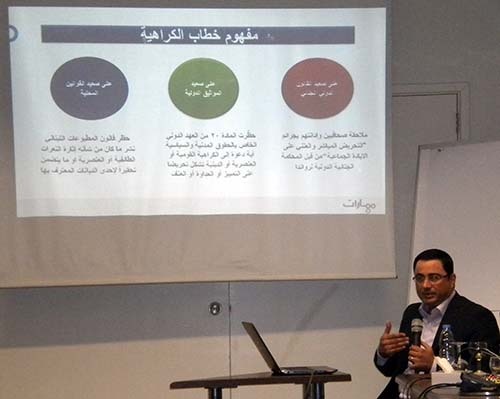 Abu-Fadil provided a tour d’horizon of current and proposed legislation affecting print, broadcast and online media in the participants’ home countries. She underlined common problems like various forms of censorship, harsh licensing procedures, penalties and legislators’ lack of understanding of what and who journalists are in the 21st Century. Another crucial issue in the multimedia world is ethics for bloggers and what defines ethical behavior is an otherwise fluid landscape where platforms and tools converge. Abu-Fadil showed jarring footage disseminated via social media of what she said was unethical conduct and complemented it with case studies of how traditional media handled, or mishandled, news coverage. Trainees engaged in animated discussions on what constitutes ethics, how to define privacy, whether doctored or misleading photos and videos should be published, sourcing and attribution ground rules, and, a host of issues plaguing bloggers. Other trainers at the five-day boot camp helped participants with live coverage for events, using interactive tools to enhance websites, creative storytelling with video, advanced safety for journalists, and building an effective presence on social media. 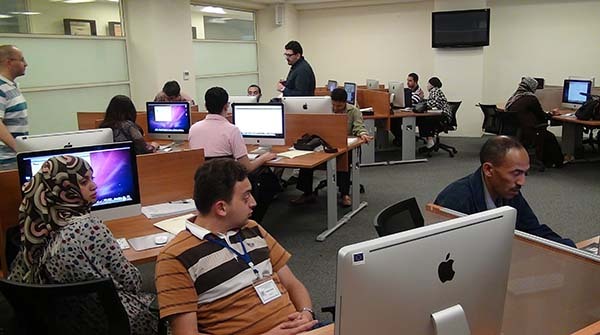 The training, held at the Jordan Media Institute, was organized by the Washington-based International Center for Journalists in August 2013 and grouped participants from Jordan, Egypt, Lebanon, Yemen, Morocco and Iraq.